It's not much a of a secret that the optimal position to use a tablet is by holding it, but it's also well known that it's not always the most practical option, either. For example, if you're using it for a cookbook in the kitchen, it's far more ideal to keep it on the counter while you work. Similarly, no one really wants to hold a tablet in-hand while watching an entire movie. 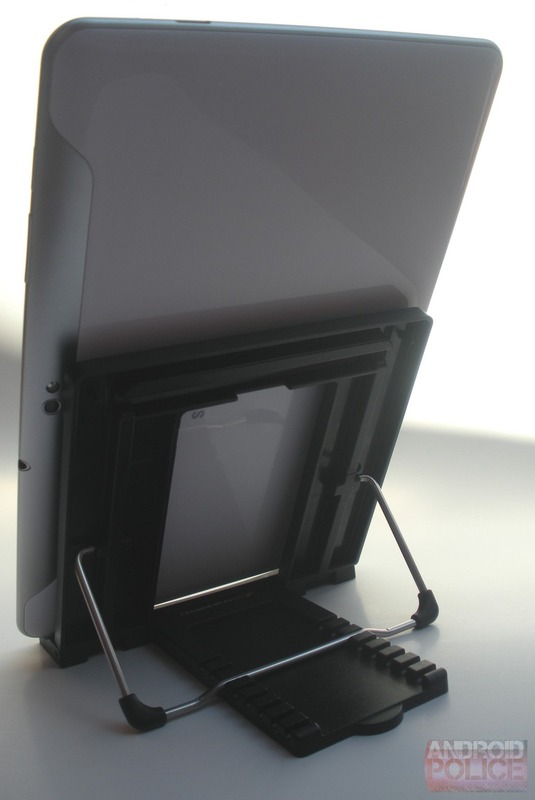 For situations like this, there are a ton of various tablet stands on the market. 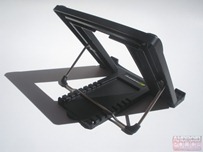 One such stand is the iTilt Tablet Stand (okay, it's really called an iPad stand, but that's just silly) from Bracketron. 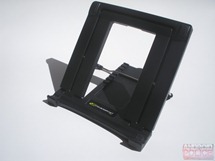 I've been using this stand for the last several weeks, and it has quickly become my most used tablet accessory. 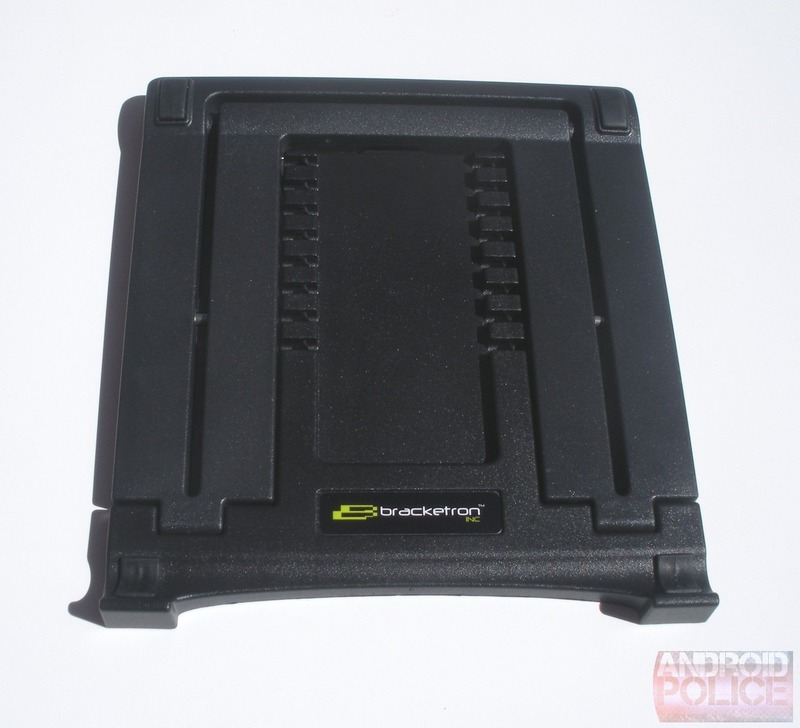 Bracketron did a very good job on the overall design, as the iTilt is both highly practical and portable. Lightweight and Portable - The iTilt is made of an extremely lightweight plastic and folds up totally flat, so you can easily toss it in your bag. You won't even know it's there. 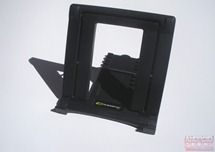 Easy to use - Sets up in seconds and it's ready to go. Eight viewing angles - It's completely adjustable, allowing you to view your tablet in a variety of useful angles. 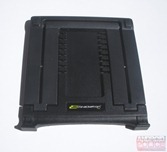 Nonslip grip - It has large rubber feet all around the bottom, so it doesn't slide around when you tap the tablet. Similarly, there are also rubber feet in the tablet resting zone, so it's held firmly in place. Works in both portrait and landscape - It's wide enough to securely hold the tablet in landscape, yet narrow enough to work in portrait, as well. Works with most cases - This one is a big deal. 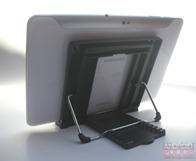 The resting zone is wide enough that you shouldn't have to remove the tablet from a case in order to use the stand. Basically universal - This should work with all 10-inch tablets, and would probably work well with 7-inchers in landscape mode, too. Price - This little guy is only $20 (you can find it for less than $10), which is quite a bit cheaper than comparable units. There is always a downside, right? A bit flimsy - While the plastic is very light and portable, it also feels like it would break easily. Somewhat unstable - When the tablet is in landscape mode (which is the majority of the time) the weight of the tablet holds it down perfectly; however, in portrait mode it is still a little on the unstable side -- but it's not enough to be a deal-breaker. The iPad moniker - I realize that this may be petty, but it may turn some users off because of it's iPad-specific alignment. As you can see, the good aspects of this stand heavily outweigh the bad. If you're looking for a solid tablet stand that won't break the bank, the iTilt is definitely the way to go --it's lightweight, ultra-portable, and easy to use. I can't think of a better combination of attributes for such a simple device to have, so I can confidently recommend this product.